Last week there were quite a few programmes on telly with pagan content - some good, some not so good. I'll start by talking about Secrets of the Stonehenge Skeletons, which was on Channel 4 last night. I'll be honest, I was a bit sceptical about Channel 4's hype about the documentary, such as "The results ... overturn the accepted view on when Stonehenge was built and what it was built for." And it seemed I was right. Watching the programme didn't teach me much more about Stonehenge than I already knew - but I guess viewers might have learnt something if they hadn't seen all the other programmes in the past year or so about England's most famous stone circle. For those who didn't watch it, The Secrets of the Stonehenge Skeletons was about the findings of Professor Mike Parker Pearson, who has analysed bone fragments buried underneath the original bluestones and came to the conclusion that the megalithic monument was built to honour the dead. His study of pig and cow bones found nearby show that Stone Age Britons also had big feasts there at around the time of the Winter Solstice. 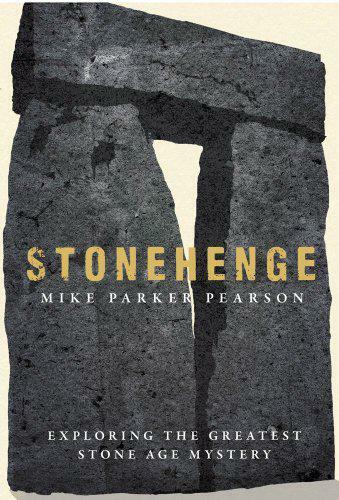 Mike Parker Pearson's book, Stonehenge: Exploring the Greatest Stone Age Mystery, is much better than the C4 documentary, according to friends of mine who have read it. I think I'll see if my library has a copy I can borrow. Pagans and Pilgrims - Britain's Holiest Places, a new series about Britain's sacred sites, started on BBC4 on Thursday). Despite the title, the first documentary in the series didn't have much to say about pagan sites, being mostly about cathedrals, but it was interesting. The next episode, which is on BBC4 on Thursday 14 March at 8.30pm, is about holy watering places and presenter Ifor ap Glyn visits Britain's oldest sacred spring. Maybe it will have more pagan content than last week's show. Immediately after Pagans and Pilgrims on BBC4 there was the start of another documentary series called Heritage! The Battle for Britain's Past. The first episode had the title From Old Bones to Precious Stones and was pretty much all about England's ancient stone circles and other megalithic monuments - and I did learn some new facts. It was about 19th century and early 20th century efforts to save places like Stonehenge, Avebury and Kits' Coty, in Kent, from destruction. In Victorian times and earlier, landowners could do what they liked with anything on their land. Ancient sacred stones could be removed to use as building material for houses or to give a farmer more field space to plough up. This programme charted the birth of the heritage movement and legislation to safeguard old structures. Much of it was about the birth of English Heritage and, while many modern pagans might disapprove of some of the things English Heritage has done, there is no doubt that the organisation has saved ancient monuments from destruction. The final TV series I'm going to mention is the supernatural crime drama Mayday. I don't want to give away spoilers for those who haven't yet watched it, but it had a lot of pagan elements. I'd describe it as being reminiscent of Twin Peaks, although not really up to the high standard of that classic series created by David Lynch in the 1990s. However, I enjoyed Mayday and would recommend it if you like crime thrillers with a hint of supernatural horror. All of these programmes are still available to watch online today, but probably not for much longer. Catch up with them soon if you don't want to miss them.